Silent Opera is currently performing Vixen, based on Janacek's The Cunning Little Vixen, at The Vaults in Waterloo. 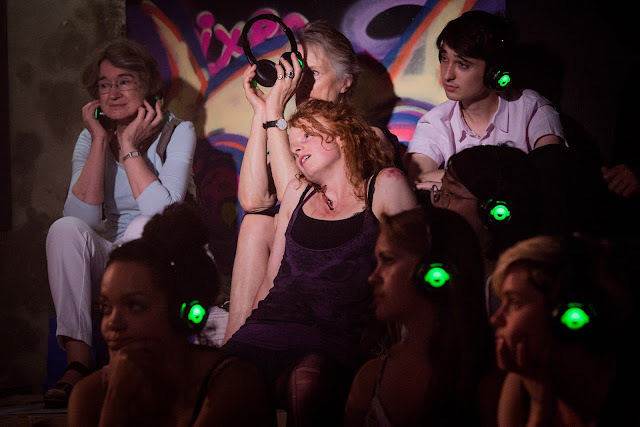 Silent Opera, founded by Daisy Evans, is no ordinary opera company; they perform live yet audiences wear headphones, listening to a mix of live singers and pre-recorded material. It sounds very far from conventional opera production, and I met up with Daisy, in a break from rehearsals, to find out more. Whilst Silent Opera may be anything but traditional, in conversation Daisy is vibrantly passionate about opera, she clearly feels strongly about the operatic form and has thought deeply about what it is, and how audiences can perceive it. We have a long and fascinating conversation about what does, and doesn't work in contemporary opera performances from the large scale to the pop-up. 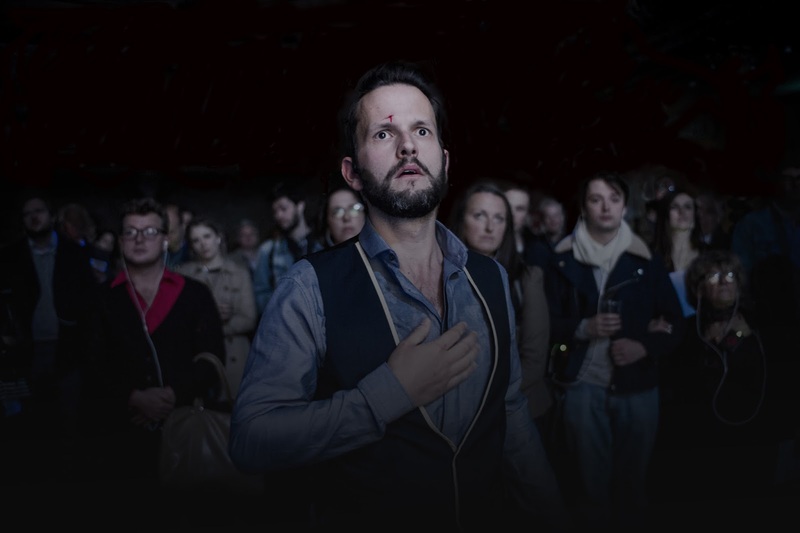 Daisy describes Silent Opera as immersive, opera which happens all around you. Later in our conversation she explains that the productions are not promenade, the audience members sit down and are part of the set, becoming active participants in the drama. But Silent Opera's particular feature is that the audience members are all provided with headphones and listen to the opera on them. This idea for Silent Opera arose because Daisy wanted to find a way of getting an orchestral accompaniment to the audience in spaces where there was no room for an orchestra or very poor acoustics. So the singers (performing live) are mixed live with an accompanying track and this is sent through the headphones. Daisy describes it as being akin to seeing film of an opera, but one with a very strong visual impact. Daisy is most emphatic that the company wants the audience's experiences to really count, and that the headphones should never simply be a gimmick. Instead audience members should feel like they are in their own world. 100 people quietly concentrating is very magical indeed, and you don't get the problem of hearing people next to you rattling sweet packets. When the company first started they recorded an orchestral track which was used to accompany the singers. This accompanying track is recorded in small sections, so that the stage manager cues each section giving the performance a freedom and live feeling which would not come with singers performing to an ordinary backing track. 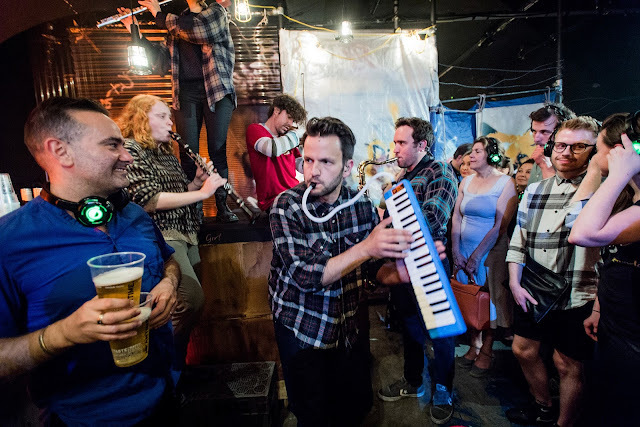 Later on the company experimented with purely electronic accompanying tracks, but for Vixen they are using a mix of a recorded orchestra, electronics and five actor/musicians performing live in the character of buskers. A new feature for the performances of Vixen is a separate sound-track evoking the outside world, and rather like an art installation. The audience can make the decision what to listen to, either through the headphones or not, in the latter case they will hear the live singers and the buskers without the additional accompanying tracks. For the new production Janacek's The Cunning Little Vixen has been renamed Vixen, and they have come up with their own version of the opera set amongst people living rough in London with the vixen of the title being a real girl. 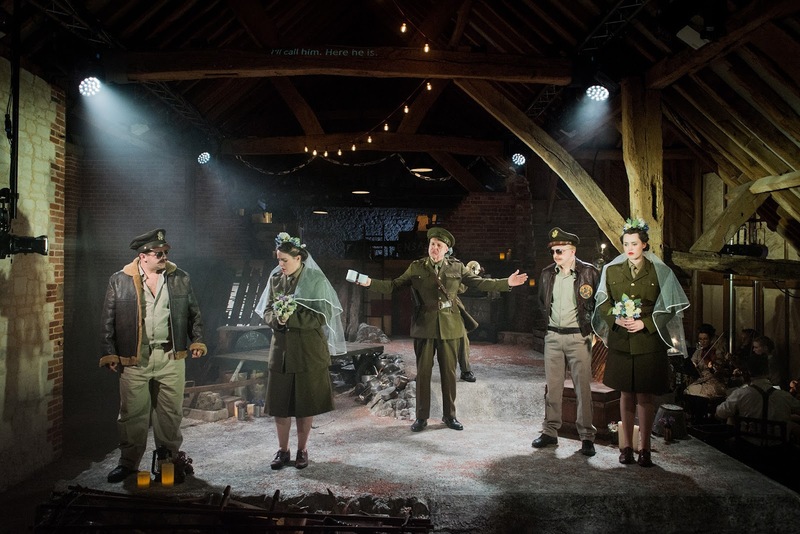 Daisy wants to bring real issues into focus in the production and feels that the company's close-up immersive style is just right for this, and it would feel ham-fisted on a big stage. Daisy always wanted to be a director, and was interested in exploring areas that no-one else was, and trying to do opera in a real way. This isn't just about how she approached the text, she is interested in how audiences react and how they are presented with the material, she is also interested in who the audience is. She found that though there were exciting things happening in film and theatre, there seemed to be a gap in opera production. When she first started, seven years ago, there was very little small scale fringe opera, perhaps just the Grimeborn Festival which was in its early stages. 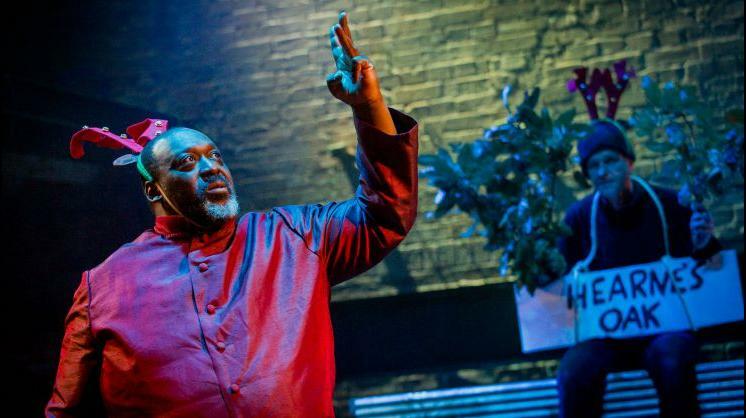 She want to see Punchdrunk's immersive production of The Duchess of Malfi which was presented by English National Opera but thought it limiting that the audience had to follow the orchestra round, and this took time. 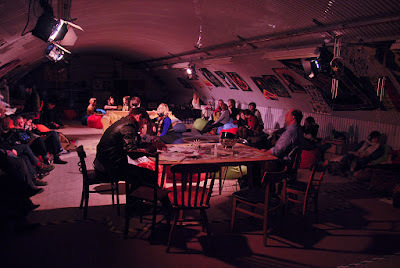 How to do immersive opera in a found space yet keep the orchestra? So the question was, how to do immersive opera in a found space yet keep the orchestra? She was insistent on keeping the orchestra, because for Daisy the orchestral accompaniment is part of what opera is, reducing down to a couple of instruments does not feel the same. She worked as a staff director in a number of opera houses, so understood the power of opera accompanied by a full orchestra. She sees the advantage of Silent Opera's approach being that the audience can both see and hear the opera close to. Whilst many large opera houses offer affordable seats, these cheaper ones are often miles away from the stage so that details such as the words do not carry. Daisy received a Old Vic New Voices Bursary and she was one of the first Sky Academy Arts Scholarships, and this funding helped to get Silent Opera's first venture, Orfeo off the ground. It has taken time to get the formula right, blending live and recorded soundes, but she feels that they are approaching a good balance. Past productions have included Orfeo, Dido, Boheme and Giovanni as well as a contemporary piece. Daisy is very much inspired by film in the way she directs and she talks about adding a layer of reality to the piece in a way which cannot easily be done in larger theatres. The singers have to dig deeper and find very convincing reasons for doing things, the audiences need to feel the reality of the performance and singers cannot get away simply with gestures and a character performance. It is challenging for the singers, some love it and she has only had one singer hate it. She adds that the singers who want to act (as all opera singers do) really enjoy it. There is, also, the added challenge of singing with one ear blocked (with the singers' earpiece). This means that the moment the company starts technical rehearsals, things get complicated, and music director Stephen Higgins has been working very hard. Singers can in fact choose what they want to have in their earpieces, and for more complex passages can have a click track. Daisy also does directs regular opera performances. She enjoys the different experience, as with Silent Opera she is more of a creator and auteur, being less directly involved because the performance has to be so reactionional, depending on the audiences. If the audience reacts differently then this changes the performance. But it is different on stage in a regular theatre, and there she can micro-manage. Her recent productions have included Verdi's Falstaff at Fulham Opera, and Mozart's Cosi fan tutte at Bury Court Opera and she will be directing Verdi's La traviata at Longborough Festival next year. She is directing Purcell's King Arthur for the Academy of Ancient Music in the Autumn; I comment that this latter piece is quite a challenge for the director, Daisy's response is a grin and 'absolutely', she clearly does relish a challenge. Another one is Agrippina by the 18th century Neapolitan composer Nicola Porpora at Barber Institute of Fine Arts in the Autumn. This is rather a rare opera, and is over three hours long. Daisy points out that in Porpora's day audiences did not listen all the time (our type of concentration is very much a post-Wagner idea). She enjoys directing in the theatre, finding it rally far away from what she is doing with Silent Opera, 'in a good way'. When working in mainstream opera it requires a different set of skills, and her mind simply clicks into this different place. Partly this is because she spent so many years as an assistant director and revival director. 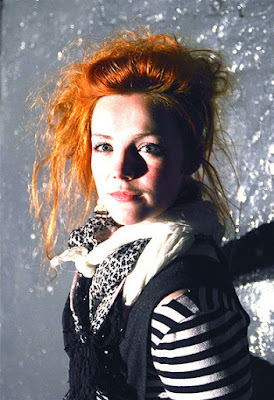 She also wants to try and change the audience experience in the theatre, and perhaps make the audience wake up a bit. With Silent Opera she tries to ensure that the company is always expanding, and not simply doing something for the sake of it. She feels that opera performed by young people should always be developing. She feels that every small opera company should ask the questions 'Is what you are doing achievable?' and 'What makes it look cheap'. She points out that companies do do operas on the cheap, and that they need to find a way of performing so that it does not look cheap. She gives as an example performing Puccini's La Boheme in a pub with a cast really looking like poor students. She feels that for the larger companies, opera has become big international business, and is no longer about the art of making something new and interesting. And audiences are not responding, so that big names are no longer getting people in. Yet opera is not dead, and opera companies need to be looking elsewhere and she feels that this is why English National Opera is supporting Silent Opera. She hopes that ideas tried out by Silent Opera will be picked up by other companies. Vixen is running at the Vaults until 10 June, and will then be travelling to the Helsinki Festival in August, and touring to Beijing Music Festival. Silent Opera did Giovanni in China last year; it did well and sold out. 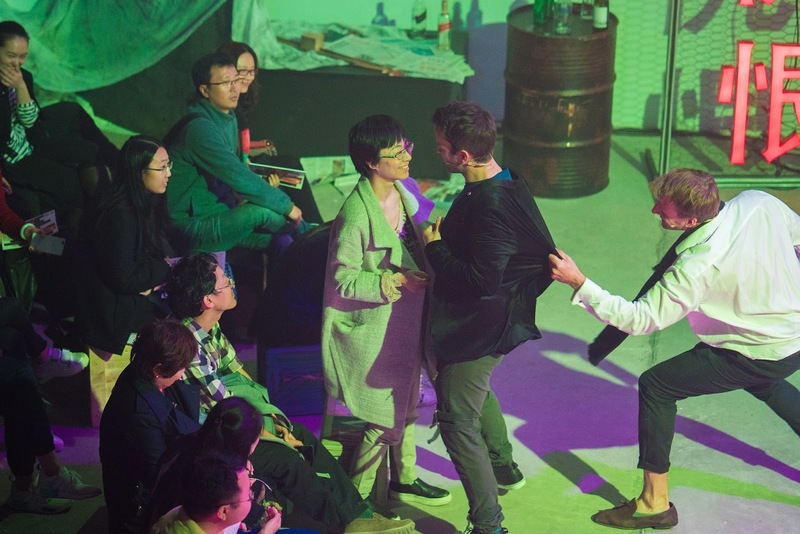 The Chinese reacted well to the Silent Opera concept, and Daisy points out that they are a young country when it comes to Western culture, and audiences have generally not been listening to grand opera for long. The company is looking at a number of ideas for a production to follow Vixen the company, but they are also looking for places to host the performances in London, a difficult place in which to find space.